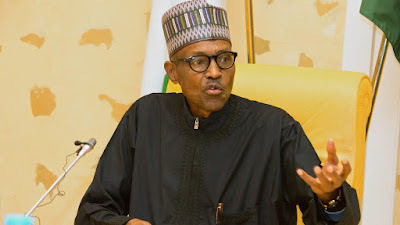 President Muhammad Buhari has warned that the unity of Nigeria has been a concluded issue as it has become non negotiable and that Nigerians have the right to live in any parts of the country to carry out their legitimate duties without any form of molestation. Buhari in his first official nationwide broadcast after returning from his medical vacation that lasted for about 104 days in United Kingdom spoke against the backdrop of recent quit notice given Igbo in the North by some Arewa youth groups. The broadcast read this: “I am very grateful to God and to all Nigerians for their prayers. I am pleased to be back on home soil among my brothers and sisters. “Every Nigerian has the right to live and pursue his business anywhere in Nigeria without let or hindrance. I believe the very vast majority of Nigerians share this view. “The National Assembly and the National Council of State are the legitimate and appropriate bodies for national discourse. The national consensus is that, it is better to live together than to live apart. “Therefore we are going to reinforce and reinvigorate the fight not only against elements of Boko Haram which are attempting a new series of attacks on soft targets kidnappings, farmers versus herdsmen clashes, in addition to ethnic violence fuelled by political mischief makers. We shall tackle them all.